Medicare has changed quite a bit over the last few years. Today private insurers are allowed to offer Medicare coverage with some new features or benefits. 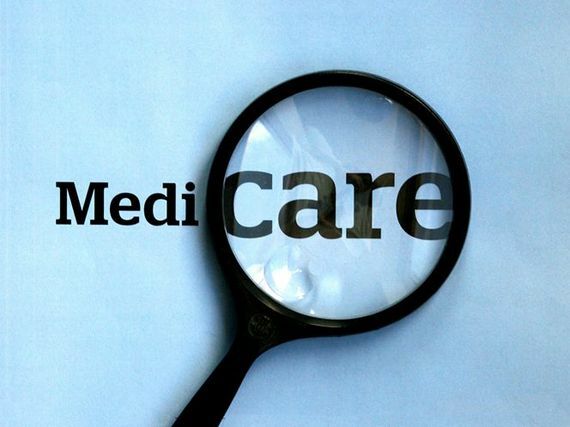 Medicare beneficiaries may now choose between Original Medicare and Medicare Advantage plans. You can also get coverage for prescriptions, called Part D. Prescription drug plans may be purchased for people in Original Medicare or may be a benefit in a Medicare Advantage plan. Medicare Part A & Part B are referred to as "Original Medicare." There are also new health plans for Medicare enrollees called "Medicare Advantage." Medicare Part A is designed to cover medically necessary inpatient care in a hospital, skilled nursing facility, psychiatric hospital or hospice care facility. Part A also provides some coverage for home health care, durable medical equipment and blood. There are deductibles and co-payments under Part A you are responsible for. Part A is premium free to those who qualify. If you do not qualify for premium-free Part A benefits, you may buy the coverage if you are at least 65 years old and meet certain requirements. You may receive this coverage automatically when you reach age 65, or you may be required to apply for this coverage. Medicare Part B covers medical services that generally include physician care, outpatient hospital services, certain ambulance services, some services of certain specialty-qualified practitioners and certain diagnostic tests and x-rays. Premiums in 2008 for Part B are $96.40 per month. For the benefits covered, there is an annual deductible and, for most expenses, a patient co-payment. Generally, there is no outpatient prescription drug coverage; however, there are allowances for certain physician-administered drugs. Because much of today's medical care is administered on an outpatient basis-and to ensure adequate coverage for all of your health needs-it is important to give strong consideration to enrollment in both Medicare Part A and Part B. If you decide to enroll in a Medicare Advantage Plan you must first enroll in Medicare Part B. To make managed care plans available, the Federal government contracts with managed care companies. These companies may offer additional coverage for dental, prescription or vision services. Medicare Advantage plans may vary in cost and have restrictions on the doctors you may see. Private insurance companies manage Medicare Advantage plans. Medicare Advantage plans are generally required to cover the same types of services as original Medicare. How long care is paid for under these plans may vary, or there may be other differences. Medicare Advantage may also discount some services or cover more services including prescription drugs, vision or dental care. You can expect to pay more for these services. Medicare Advantage plans may be structured like a PPO or HMO. A Medicare Advantage plan may require you to use hospitals or physicians in their network. Understand the size of the network and choose one with a large network if this is important to you. Like commercial HMOs, seeing a physician specialist may require a referral from your primary care physician. Learn about these and other restrictions when you compare plans. You may join a Medicare Advantage plan when you first enroll in Medicare. This period begins three months before and ends three months after the month you turn 65. After that, you can usually change your coverage twice a year. Between November 15 and December 31 each year, you can make changes to your plan. You have a second chance during the "open enrollment period" between January 1 and March 31. However, during this time, the changes you can make to your coverage are restricted, especially with regard to adding or dropping drug coverage. For more on Medicare and Medicare Advantage plans visit the Medicare website or call 1-800-MEDICARE. If you're in a Medicare Advantage plan, you usually cannot sign up for a Medicare Prescription Drug Plan on your own. Instead, you should get your drug coverage through your Medicare Advantage plan. A coverage gap called a “doughnut hole”- Medicare stops paying once $2,510 in prescription costs are paid (by you and the plan ) during a year. When that amount reaches $4,050 Medicare starts paying again and will pay 95% of your costs for the rest of the year. Costs and benefits may vary among plans. Use the Medicare Prescription Drug Plan Finder to learn more about plans in your area, what they cover, the costs and even to enroll. In some cases if your income is below a certain amount you may not have to pay the monthly fee and your co-payments could be less when you buy drugs.